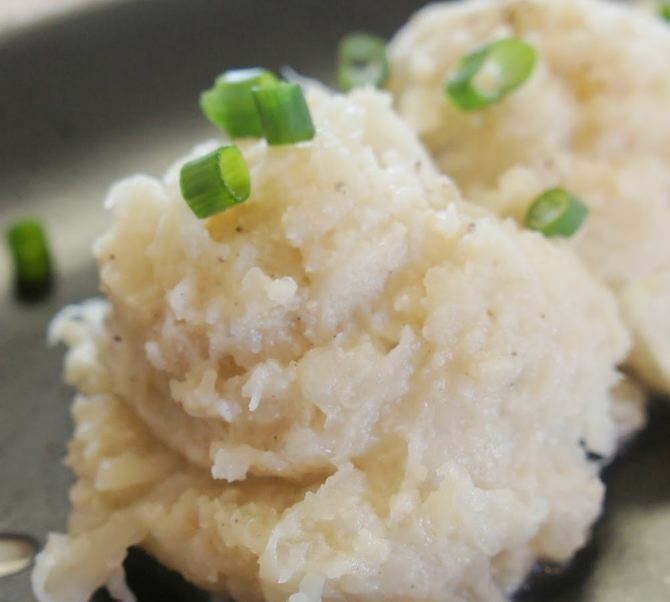 Cut the cauliflower into florets and place in the slow cooker. Add in the water, garlic cloves, salt and bay leaf. Remove the garlic cloves and bay leaf. Drain the water. Add in the butter and let it melt. Use a potato masher to mash the cauliflower or if you want to use an immersion blender to make it more creamy you can do that. If it needs milk add it in a tablespoon at a time. Salt and pepper to taste. Serve with chives or green onions.